A great introductory wooden word puzzle that challenges and teaches at the same time. 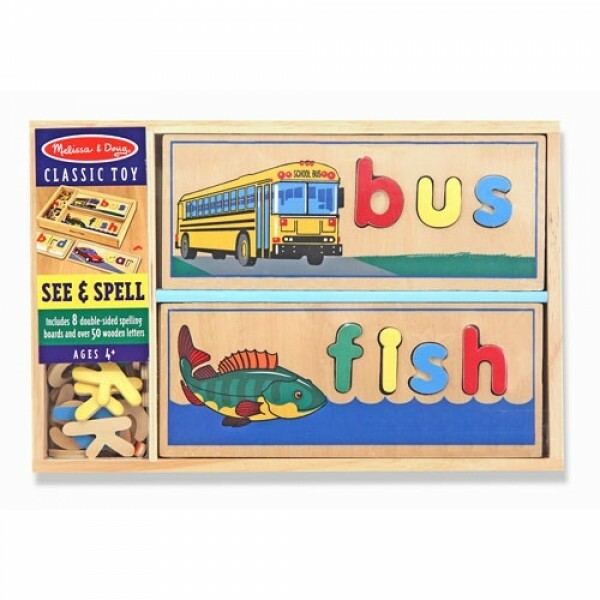 This chunky wooden puzzle set helps children gain familiarity with the letters of the alphabet and their sounds as kids develop a sight-reading vocabulary. The letters are also wonderful for stencilling and lots of learning games. 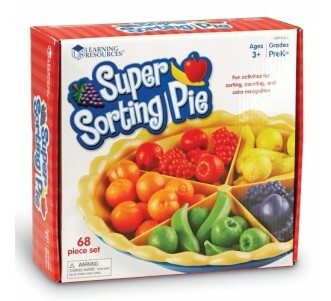 Over 60 colourful wooden letters fit into the eight two-sided cut-out boards to spell three- and four-letter words. 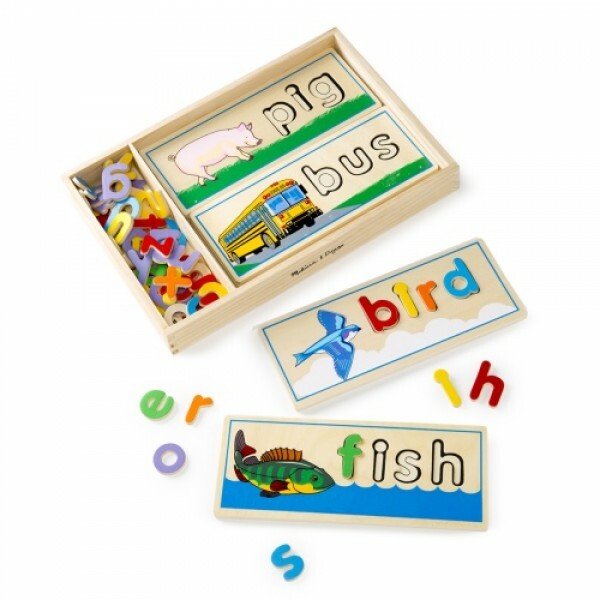 All this spelling and fine motor fun fits into one compact wooden storage case!